Outlook is the most commonly used email program anywhere in the world, especially in offices. Naturally, in an office, emails are all business correspondence and must be saved for future reference. As you keep saving your business emails every day, you end up with a whole lot of them. But there is a limit to how many you can save, not to speak of how Outlook is slowed down with all those emails in it. So, what do you do with them? You cannot delete them because they are all important for your business and never know when you might need them. Well, obviously the best thing to do with all your emails in Outlook is to save them outside of your Outlook program. It’s simple as that. But wait… how can you do that? 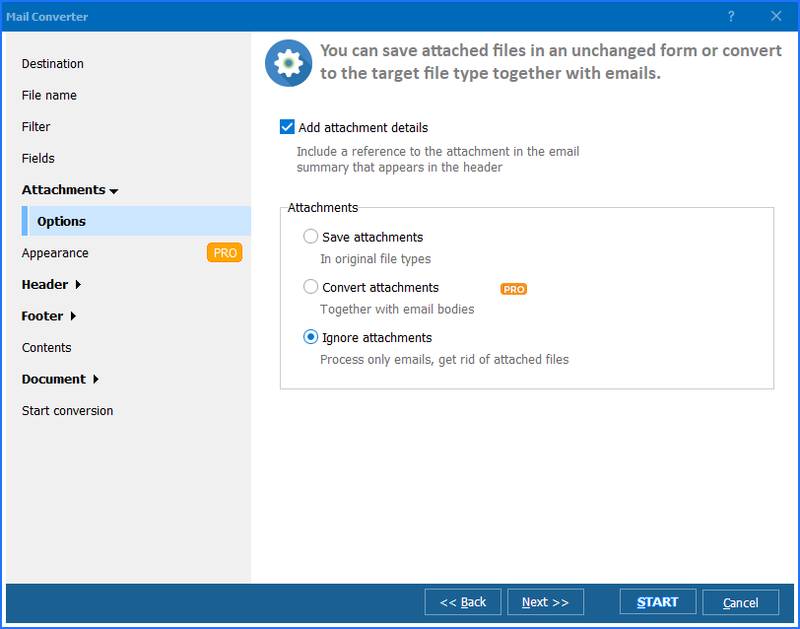 The emails in Outlook are all .msg files, and if you want to save them by exporting them elsewhere on your computer, then you first need to convert MSG to HTML files. So, what do you do? 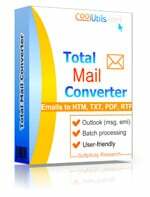 An ideal tool to use here is the Total Mail Converter. It very easily converts emails from .msg to .html. All you have to do, after installing the program, is to select the emails that you wish to convert from .msg, then select .html from the many options (others being .doc, .txt, .pdf, and .rtf) and click on it. Your .msg files will be converted to .html. Now you can arrange them in different folders and save them elsewhere on your computer. Your Outlook has now been emptied without having to delete your emails. 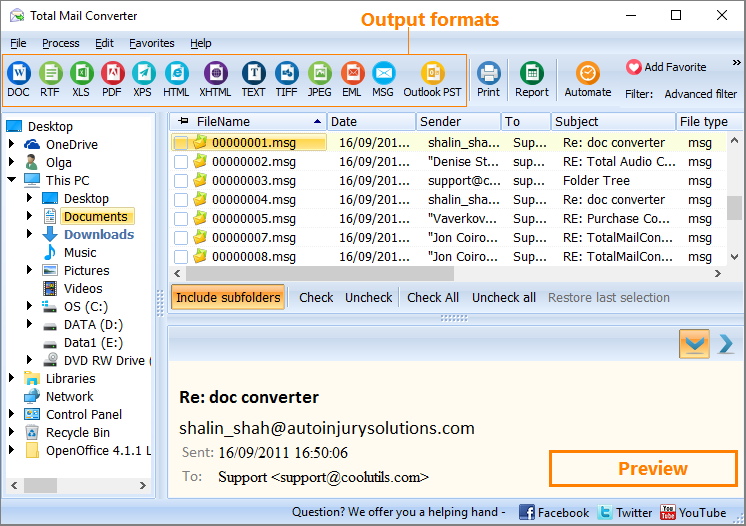 A valuable feature of the Total Mail Converter is its ability to convert msg files in batches. In other words, you don’t have to convert messages individually. By using the batch mode, you can do it all in one go. The batch mode feature can also be used when you wish to convert in different ways based on your requirements. For example, if you want certain emails to be converted to .html by subject, by date, by author, or by any other way you want, then you can do them separately in batches according to your choices. 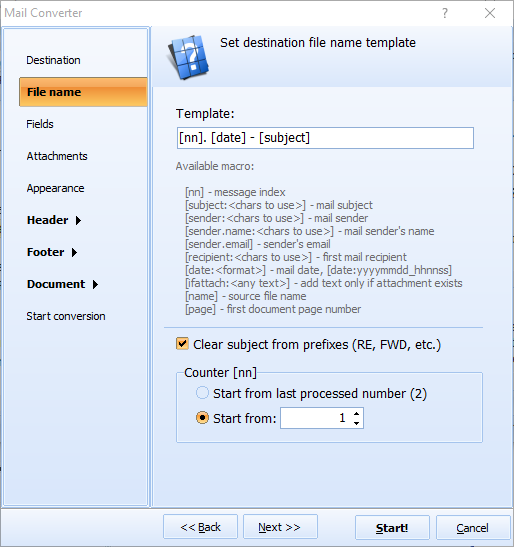 There are several other important features of the Total Mail Converter. You just have to get it to check them out for yourself.